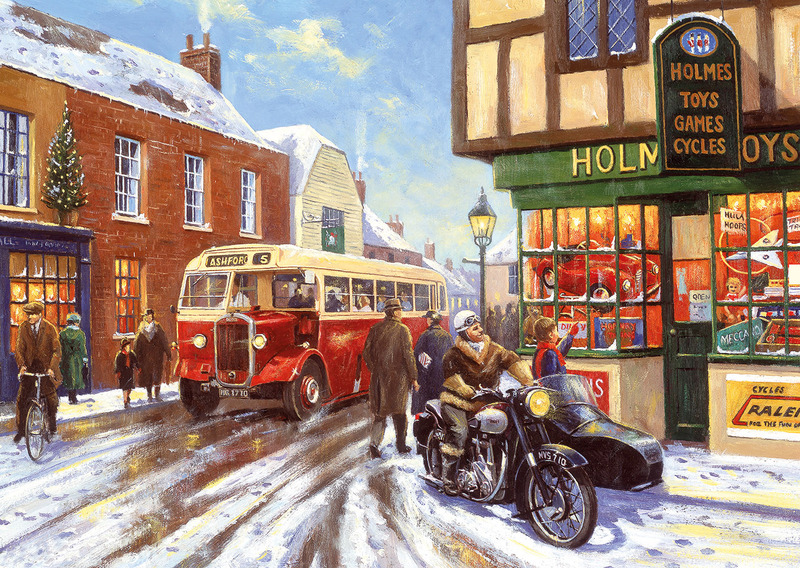 Getting about town on a winter’s day presents a bit of a challenge, but there’s something cosy about the glow from the shop windows and the thought of returning home for a nice cup of tea. 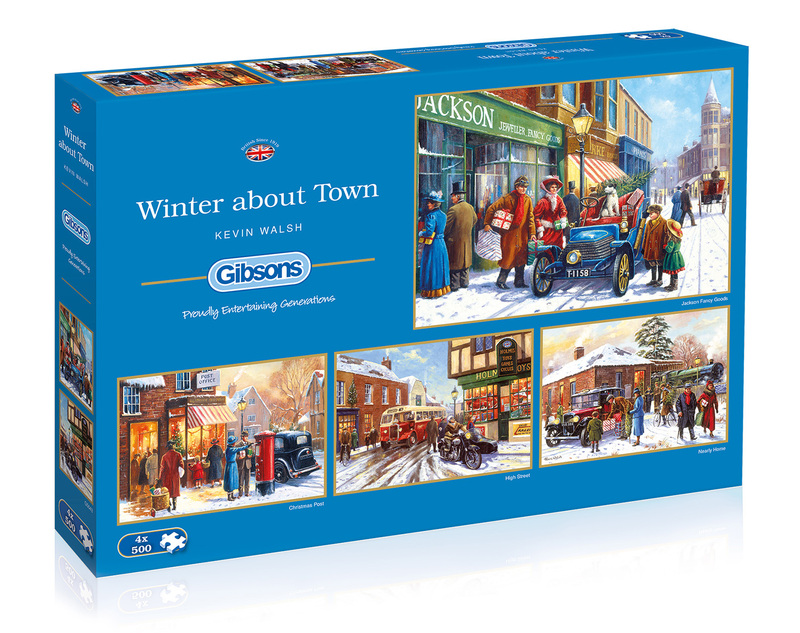 This beautiful set of puzzles is painted by Kevin Walsh and is Gibsons’ first winter-themed puzzle in the 4×500 range! 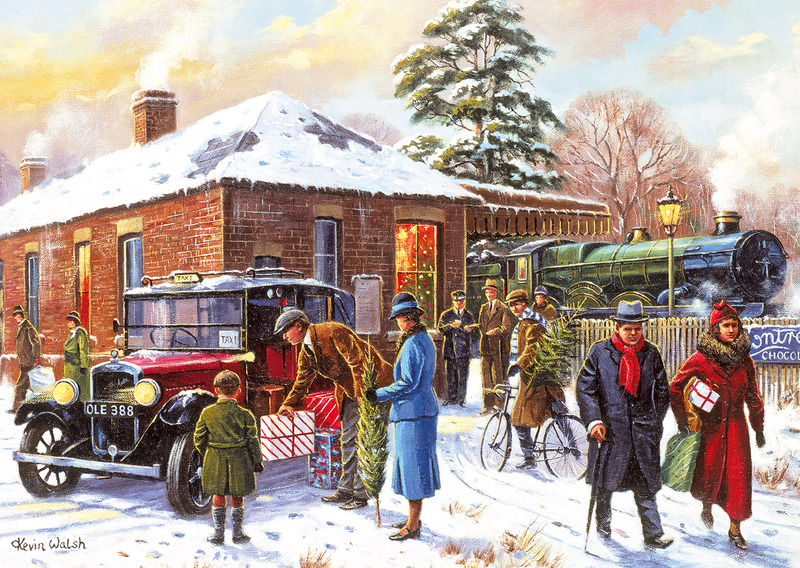 Four high quality 500 piece jigsaw puzzles in one box. Kevin was born in Castleford in the heart of former industrial West Riding of Yorkshire, from the same town as famous sculptor Henry Moore. During his degree, where he studied illustration at the Wakefield College of Art, Kevin became well known for his aircraft paintings and became a member of the Guild of Aviation Artists. 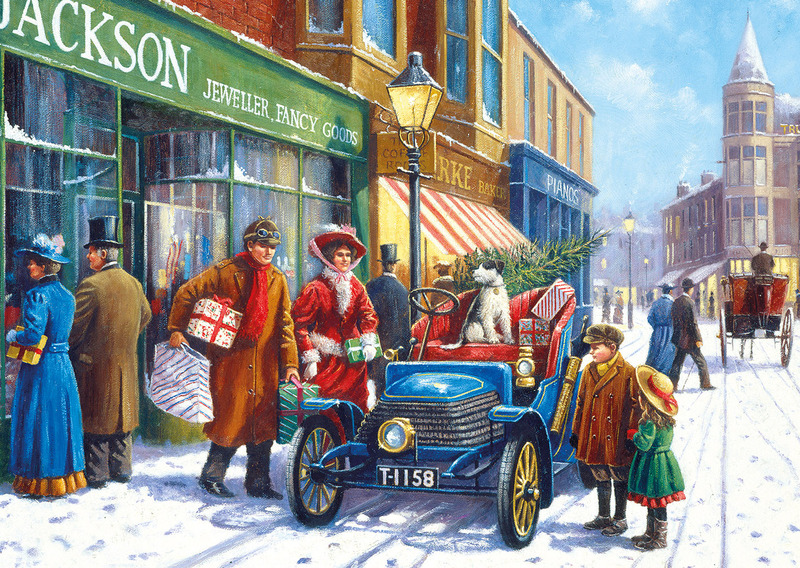 In recent years he has become increasingly known for a much wider variety of subjects, such as landscapes, transport and city life, although many of these subjects focus greatly on nostalgia and can be found one a diverse range of products, from greeting cards to biscuit tins. Many of his original oil paintings can be seen at the Headrow Gallery in Leeds.